Looks like not only Apple and Samsung are currently working on their smartwatches. 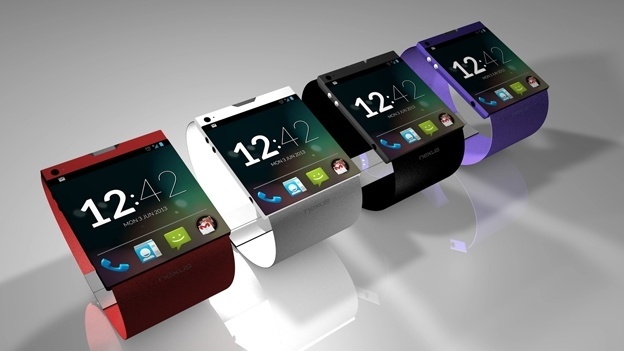 Another tech giant - Google - is expected to release its own wearable gadget as soon as this year. According to people familiar with the matter, an early prototype of the watch had a Pebble Steel-like metal band, square face, and a colorful digital display featuring a gradient background where colors gently fade from one to the next. It also seemed to have a more masculine vibe, also like the Pebble Steel. The wearable gadget is said to feature the same (or nearly the same) functionality as the widely-rumored iWatch. But, of course, it will be using Google’s Android as an operating system. The same researchers report that there’re already several smartwatch prototypes hidden somewhere inside of the Google headquarters. I wish I could see some actual photos of the would-be device.